This article was posted on 5th July 2016. 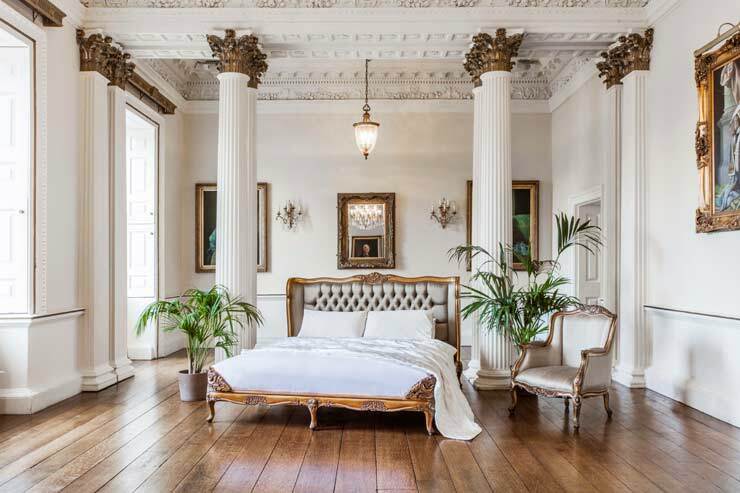 One of our favourite past times is observing the synergy between the fashion world and the trends that creep into our homes, transforming our favourite rooms with just the smallest of tweaks to keep us on top of our trend game. When our buyers put together our newest collections, aside from hopping between exciting international interiors shows, they look at what we're wearing - what's hot and what we're all loving. If we're buying it for ourselves, chances are we'll be seeing it in our homes in the not too distant future. In our Summer Trends series, we're looking at how to translate the trends we're wearing into statement style for our homes. Versailles Luxury Upholstered Bed; Versailles Daddy Chair. Rattan, bamboo & natural wood finishes. White floaty fabrics to emulate the much needed moquito nets. 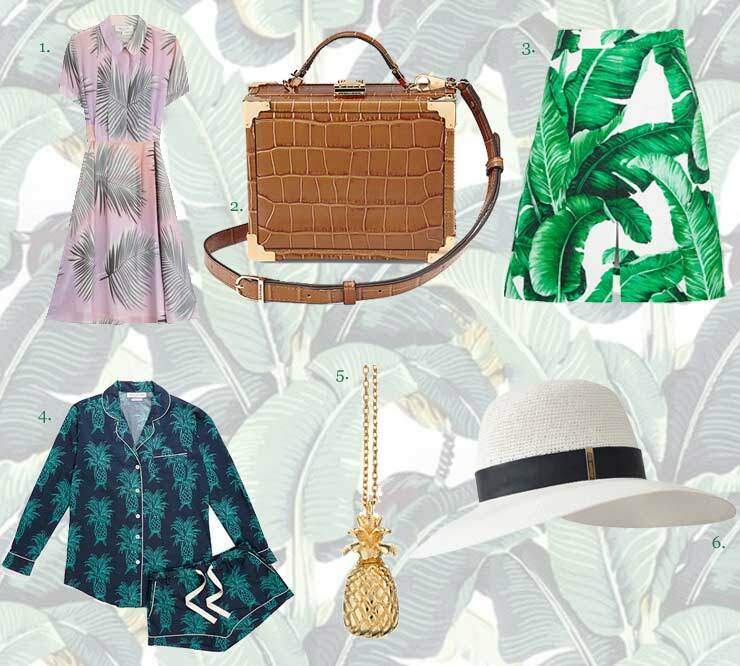 Tropical house plants - think large palms and fiddle leaf figs. Luxurious. antique, heirloom style furniture. Hints of the hunt - cow and springbok hides. 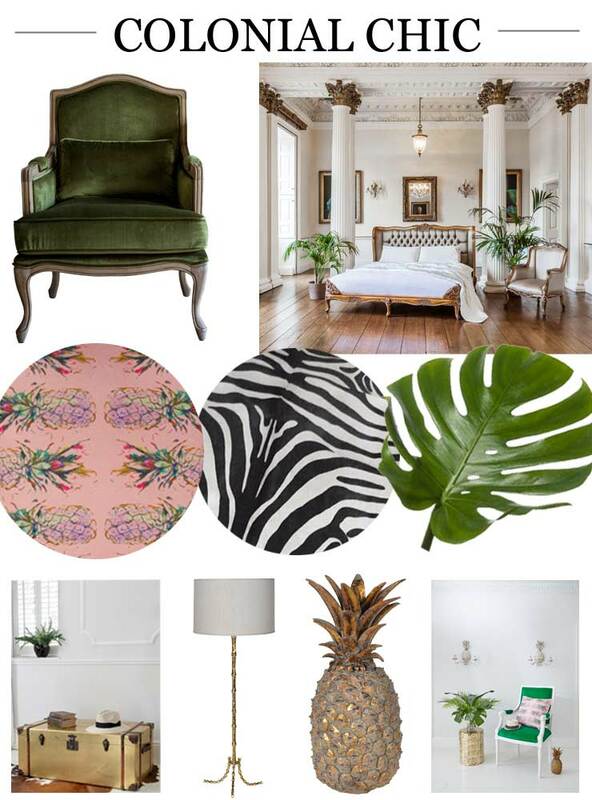 Hathaway Green Velvet Chair; Versailles Gold and Silk Upholstered Bed; Versailles Gold and Silk Armchair; Pink Pineapples Cushion; Zebra Print Cowhide; Green Cheeseplant Leaves; C. Columbus Brass Trunk; Colonial Brass Bamboo Table Lamp; Gold Pineapple Ornament; Green Kae Collection Velvet French Chair; Circles and Squares Gold Side Table; Pineapple Wall Lights.